Brunswick Pro Bowling is an all new and extremely fun bowling game that is simply fantastic from start to finish and I do really love it. The games graphics are very good indeed and so is the game play but the only downfall of the game is that it becomes quite repetitive after a short while and soon loses its appeal unless you have a variety of players to compete against. 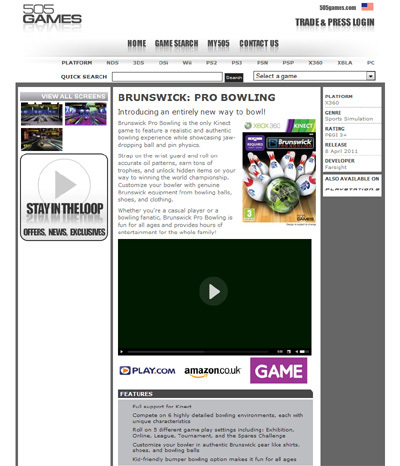 We have also compiled a Review System for this, of which Brunswick Pro Bowling is Rated as Four Stars, the second highest possible score available from the Game Review Team.